Fix Yoast XML Sitemap 404 Error Problem? Yoast is an outstanding SEO Plugin for WordPress User. But you may face a problem with XML Sitemap. When you try to get your sitemap in www.yourdomain.com/sitemap_index.xml, it shows you a 404 page. At First, I like to inform you that, it’s neither your Yoast SEO Plugin Problem nor WordPress problem. It’s a very simple issue of your permalinks. I am going to show you how you can fix this problem within a few seconds. You can check out Search Engine Friendly Backlinks and How & Why Google Plus Helps Us to Better SEO post for better understanding about SEO. A Sitemap helps Search Engine to take a clear idea about your link structure and index it. Without a perfect sitemap, you can’t rank your Website in the search engine. Search Engine crawls your sitemap and all pages linking with your Sitemap. Then search engine index your pages. When does This Problem Occurs? I can’t strongly say that this will occur every time. But normally it occurs for new installation WordPress Website. It’s a permalink problem of your Website. If you don’t arrange your permalink after installing WordPress, then you may face this problem. Personally, I have faced this problem in my life. I was trying to fix it via Yoast Settings and Sitemap option, but I failed to fix it via Youst Settings. Actually, I was following a wrong way for solving it. I will show you the right way for fixing this error issue. First, Login your WordPress Website Dashboard and go to Settings> Permalinks. Make a click on Save Changes button now. Before click on save changes button you can modify your permalinks structure. 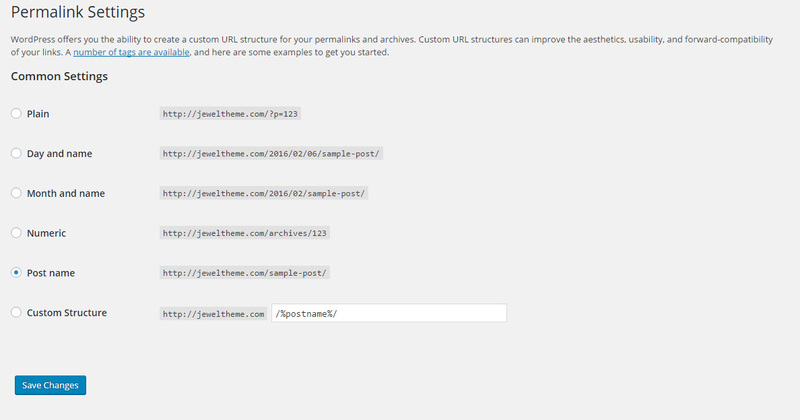 I recommend you to use permalink structure with “Post name“. This is the best SEO friendly permalink structure. That’s all about Yoast SEO XML Sitemap problem. If you have still any issue with XML Sitemap, feel free to contact me. Sometimes you may need to fix your .htaccess file. Never try to edit your .htaccess file, if you don’t know it perfectly. It will damage your website if you do something wrong with it.